Designed by a laundry list of famous designers. 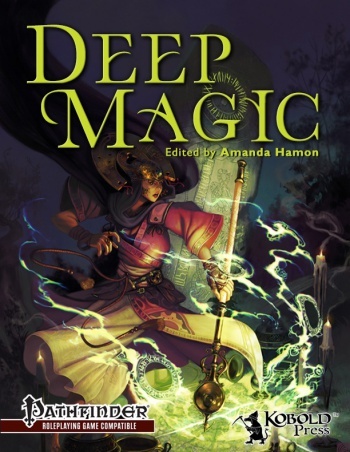 Funded via Kickstarter in 2013, this titanic tome of magics for either 13th Age or Pathfinder would be impressive in its sheer breadth of weird subjects - any one of which would make a campaign unique - if it weren't more impressive for the fact that a whole host of brilliant designers took part in its creation. 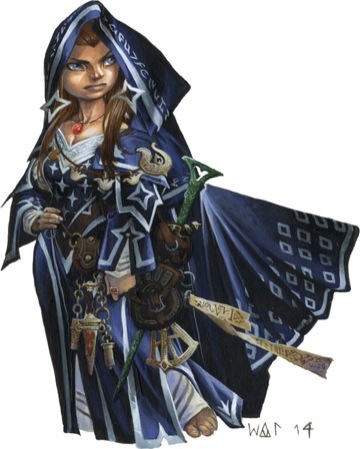 From the ever-reliable Kobold Press, this thing is a go to design tool for campaigns or adventures that want to make magic more interesting than spell levels and save difficulties. 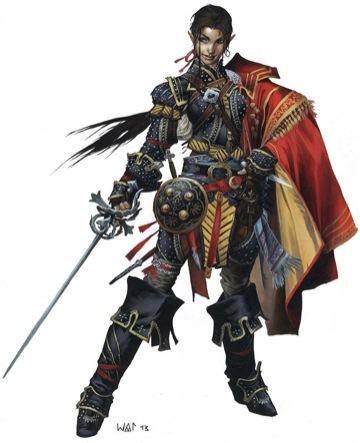 Designed and Published by Paizo. 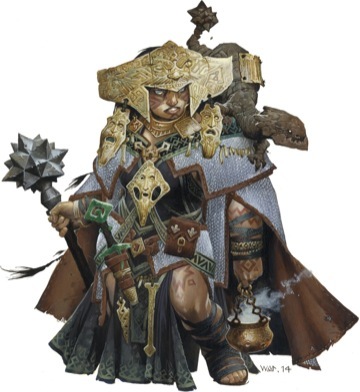 Fantasy game frontrunner in recent years, Pathfinder's growth shows no signs of slowing any time soon. 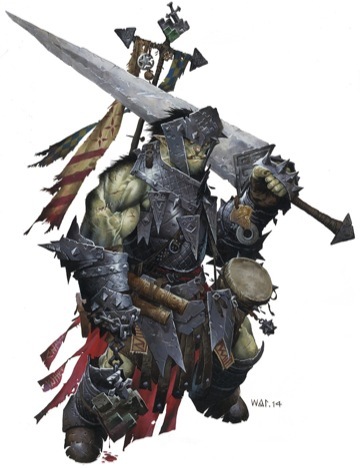 Publisher Paizo has always been wary about bloating their game with too many new base classes, preferring to focus on customizable options instead, so when they went whole-hog on a pile of new classes this year we suspected it was going to be good - and lo and behold, they're fun designs and neat twists on established formulas. 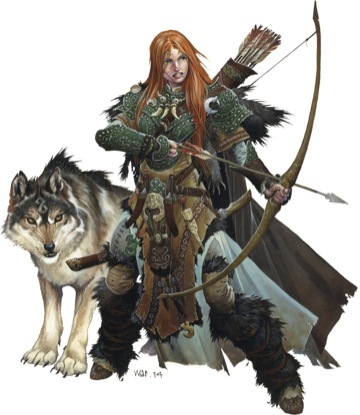 Where other games often stumble when increasing the basic options for players, Pathfinder seems to have taken the additions in strade. Designed by Monte Cook, Bruce Cordell, and Shanna Germain. Published by Monte Cook Games. In a year that also featured the awesome new D&D bestiary, you'd think we'd be hard pressed to come up with another bestiary we like more, but you'd be wrong. 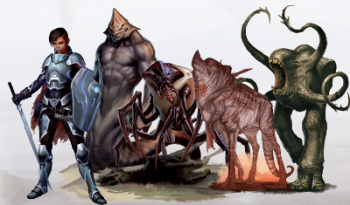 Numenera's science-fantasy aesthetic delivers strongly with The Ninth World Bestiary, and the sheer variety of robots, genetically engineered monstrosities, and odd denizens of the future-earth is mind boggling. Nearly everything in this book is worthy of a page, and there's handily a year or more of gaming stemming from this book alone. 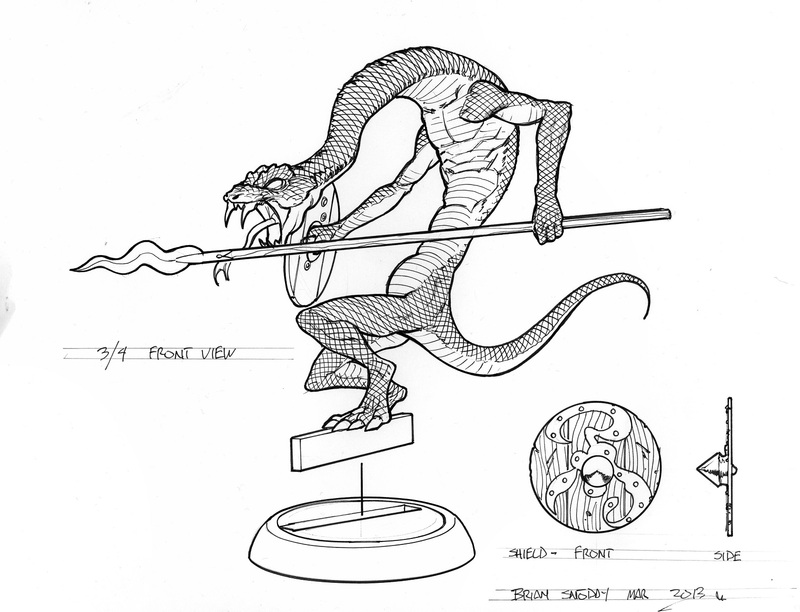 A quality product from beginning to end that adds nothing but value to the Numenera system. Designed by Rob Heinsoo, Ash Law, Robin D. Laws, Cal Moore, and Jonathan Tweet. 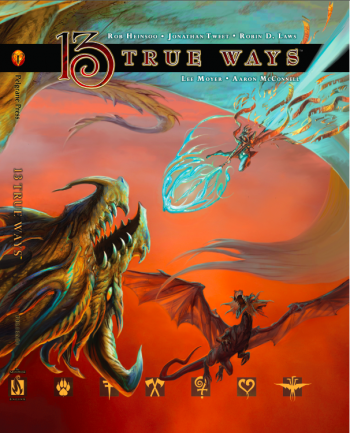 13th Age is one of the best takes on the d20-rolling fantasy genre in recent years, and 13 True Ways is an honest-to-goodness expansion book for it - with new classes, play techniques, monsters, and more. 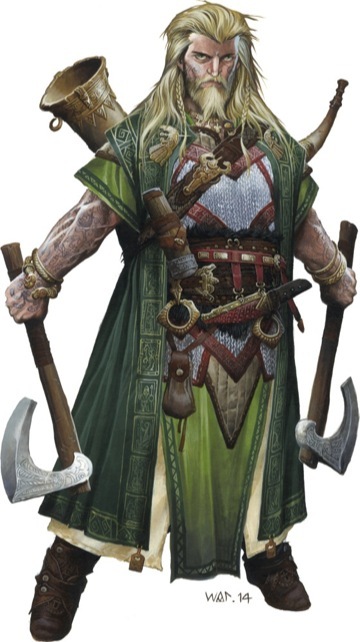 From the clever Monk to the reality-breaking Occultist, the classes all embrace shattering fantasy game mechanical conventions like few other systems are willing to do. Add that to more brilliant advice from the godfathers of contemporary fantasy gaming - Jonathan Tweet and Rob Heinsoo - and you've got a book nobody playing 13th Age should be without. Designed by Brian Engard, Robert J. Schwalb, and Clark Valentine. Published by Evil Hat Productions and Green Ronin Publishing. 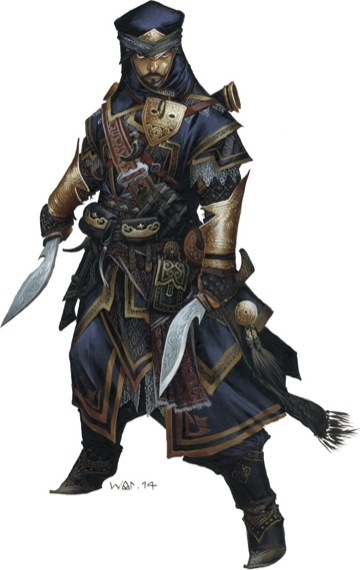 Green Ronin's wonderful pirates-and-eldritch-terrors Freeport was a blast for Pathfinder after its Kickstarter last year, but it's the Fate Core edition that really convinced us we should do something other than just read the thing - we should play it. The pulp atmosphere of Freeport and the fast playing, high adventure mindset that Fate encourages offer up some real opportunities for hilarious fun and swashbuckling derring-do. 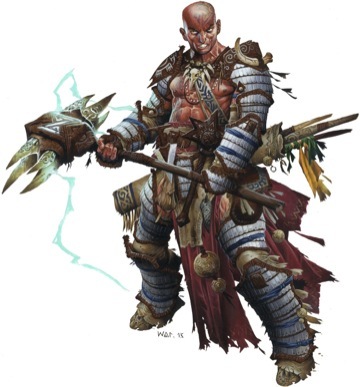 Where sometimes the setting felt bogged down by the heavier Pathfinder rules, the Fate ruleset propagated the atmosphere, and the advice for playing using the rules really carried the book.